Be Sure Your Vehicle Will Be Ready To Go When You Are! Must present coupon when service order is written. Cannot be combined with any other coupons or discount offers. Valid only at Bertera Dealerships. Engine management system diagnosis includes retrieval of code. Parts & labor on any 30k, 60k, 90k, or 120k service over $475! Must present coupon when service order is written. Cannot be combined with any other coupons or discount offers. Tires excluded. 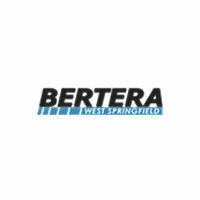 Valid only at Bertera Dealerships.